If you enjoy doing any amount of gardening in your Fayetteville backyard, then you need to invest in some installations that will help your garden be as healthy and beautiful as possible. Perhaps one of the best of these installations for this purpose will be a retaining wall. A healthy garden doesn’t happen on its own: It relies on the presence of healthy soil, of course. So, if your yard contains good, healthy, nutritious soil, you’re already on your way to growing a luscious, beautiful garden. Your only real work now where soil is concerned is to keep it contained within your yard. Unfortunately, that task can be somewhat difficult when wind and rain begin to erode your soil. 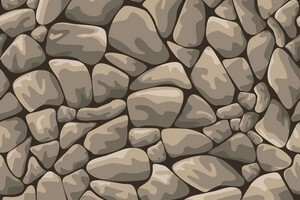 Fortunately, though, you can help prevent erosion by getting a retaining wall for your garden. One of the great features this installation offers is erosion protection, making it a great installation for maintaining healthy soil. Many people work on gardens in order to provide extra produce for themselves. However, not all gardens are so practical. No, many people also derive pleasure from theirs simply thanks to the beauty it can provide their Fayetteville homes. If you’re the kind of gardener who favors beauty, you’ll find you can’t go wrong with a retaining wall. By allowing you to build your garden up laterally, a retaining wall will allow you a greater variety in your garden. Certain plants can be emphasized, and smaller ones can peak out above larger ones, helping you to show off every single plant you’ve so meticulously grown and maintained. A retaining wall’s ability to let you build your garden up laterally helps to do more than just keep your garden looking good. It will also help you to keep your garden healthy. After all, not all plants can live harmoniously directly next to each other. Some take up more nutrients more quickly than others, leaving those others to struggle and wilt. By sectioning off different plants, though, a retaining wall will help to keep certain plants from preventing other kinds of plants from flourishing. You’ll put many hours into your garden, so you should strive to ensure it remains as healthy as can be — which you can easily do thanks to a retaining wall. Ready to enjoy all of these great qualities yourself? Then look to none other than the landscaping pros at Ground Pounders Landscaping. We provide high-quality custom-designed retaining walls that will help get your Fayetteville home looking its best while also ensuring that you’ll enjoy all of these great qualities to the fullest. 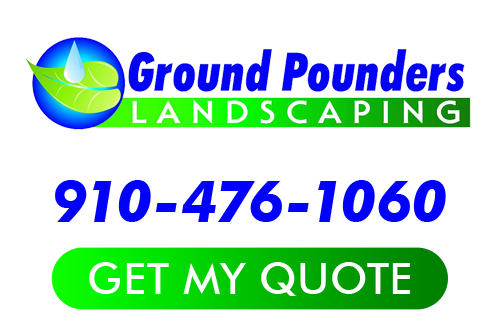 If you are looking for a landscaping company in the Fayetteville area, please call Ground Pounders Landscaping, Inc at 910-476-1060 or fill out our online request form.